MCN has teamed up with none other than the legendary Foggy and a host of other greats to name their biking heroes as part of our Christmas special. We’ll be bringing you some of the best picks from the bumper double issue in the lead up to the big day. “Mick Doohan inspired me most. Which is probably unfair on the other guys because I was also a massive Schwantz, Rainey and Gardner fan, and the 500s were the era I started watching bike racing. It was always on in our house and as a Yamaha dealer we had a bit of a soft spot for anyone on the Yammies. But then the Australians came through and Mick was the one, really. I liked his intensity. It was close between him and Kevin Schwantz, but Mick got the nod because he was Australian. And those injuries; you have to respect someone coming back from that. 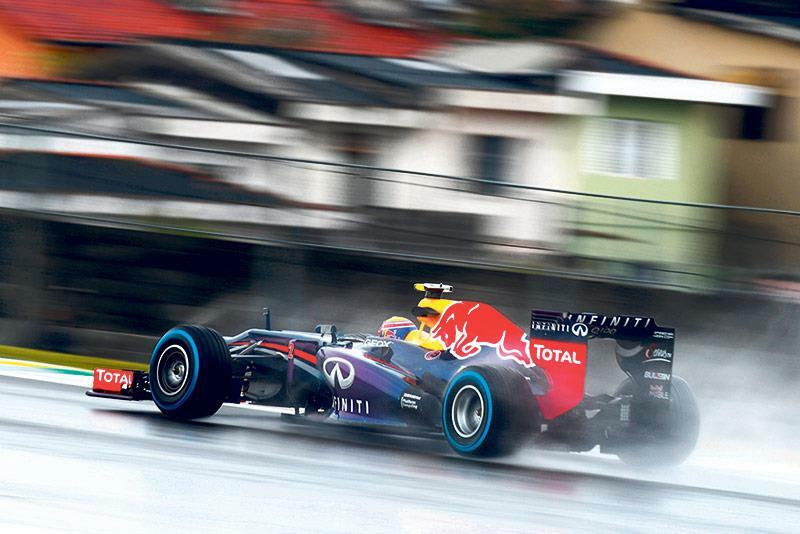 “When my racing took me to Europe I was lucky to meet him really early in my career. I went to Donington in 1998, when he got beaten by Simon Crafar on the Red Bull Yamaha on Dunlops, so yeah, Mick wasn’t best pleased after that race. But then we met at Donington after that. We also did some demonstration laps together in 1998, me in a development Mercedes sports car and him on his Honda, and I’d never been on track with a bike before. I could see how comfortable it was for me on the greasy white lines and how vulnerable Mick was. “Chris Scott is one of the most exceptional human beings I’ve ever met in my life. He literally wrote the book on adventure motorcycling, he even coined the phrase! 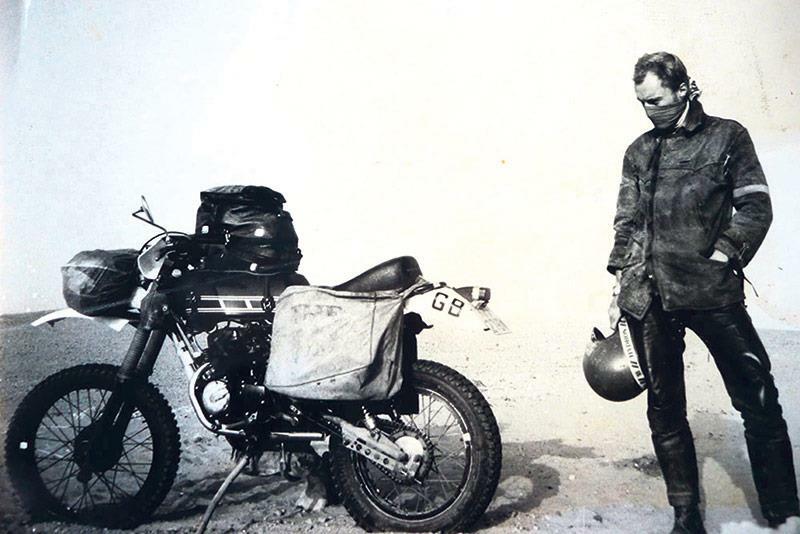 Chris has become a pivotal figure in motorcycle history because he had the vision to realise that the Sahara was a million times more intoxicating than where the needle is in the dial. And he actually went out there and did it, at a time when nobody else was. When there was no information on motorcycle expeditions, he was living it and writing about it. “And that’s how we discovered him. When preparing for Mondo Enduro we found a homemade spiral-bound, school-project style booklet with this black and white photo of his Yamaha XT500 on the front with the words ‘Desert Biking’. It was filled with stuff he’d learnt from his first eight trips into the Sahara with improvisation wisdom like how to make your own luggage out of shelving. It was the first ever document to suggest there was such a thing as expedition motorcycling. “So we tracked him down and badgered him for advice, we were desperate to meet some kind of wizard who would tell us the magic formula for successful motorcycle travel. But he didn’t teach us anything because there wasn’t a secret code, other than just leaving. He knew there wasn’t much to learn apart from a few obvious things like changing tyres and replacing consumables. He wanted us to just be happy and get going and change things when they go wrong. He forced us to embrace the idea of uncertainty, which is what adventure riding is all about.